Poland, Roman Church. Farewell to Cardinal Glemp. “Cardinal Jozef Glemp was a primate of great breakthroughs, and he showed great composure and wisdom in the face of extreme political divisions,” declared Cardinal Stanislaw Dziwisz, Archbishop of Krakow, during Monday’s funeral service, as cited by the Polish Press Agency (PAP). “During the difficult times of communism, he stood boldly and prudently on the side of the nation, striving for freedom and complete independence from the totalitarian system,” the cardinal reflected. Main Article – Radio Polska, Jan.28th, 2013. “Jozef Glemp was born Dec. 18, 1929, in Inowroclaw, Poland. He decided early to be a priest, but his schooling was interrupted when the Nazis invaded in 1939. His father, a salt miner, joined the resistance, but Jozef, his mother, sister and two brothers became slave farm labourers. Ordained in 1956, Glemp was a parish priest and teacher before earning doctorates in civil and canon law in Rome. He returned to Poland in 1964 and was Wyszynski’s legal adviser for 12 years. 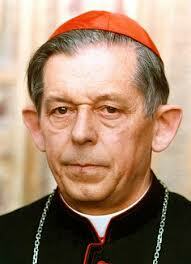 He was Bishop of Warmia, a diocese of 1.3 million, from 1979 to 1981, when he succeeded Wyszynski on his death. Main Article – The Globe and Mail Jan. 27th, 2013.